In these challenging economic times, the future of nonprofits —and the important services they provide—will depend on their continued ability to fundraise. Fundraising can, at times, seem daunting and confusing. Fundraising challenges are also among the biggest barriers to a nonprofit’s ability to serve its target population. Donorbox helps you serve your beneficiaries by enabling your organization to raise funds online. Over 18000 nonprofit organizations use Donorbox fundraising software. These organizations include charities, schools, churches, political campaigns, and medical research institutions. Donorbox is a powerful fundraising software that is simple to setup and attracts more recurring donors. Donorbox features are plenty and work in harmony to allow you to meet your fundraising goals in a fast and efficient way. With Donorbox, donors have full control over their monthly recurring donations, donations are secure, and donor data is easily collected. Digital wallets are becoming an increasingly popular way for to pay for goods and services, so we wanted to make sure donor payments can be made via ApplePay and Google Pay. Google Pay donations can be made from most devices, including a Chrome browser, an Android phone and even an iOS device through the Chrome app. 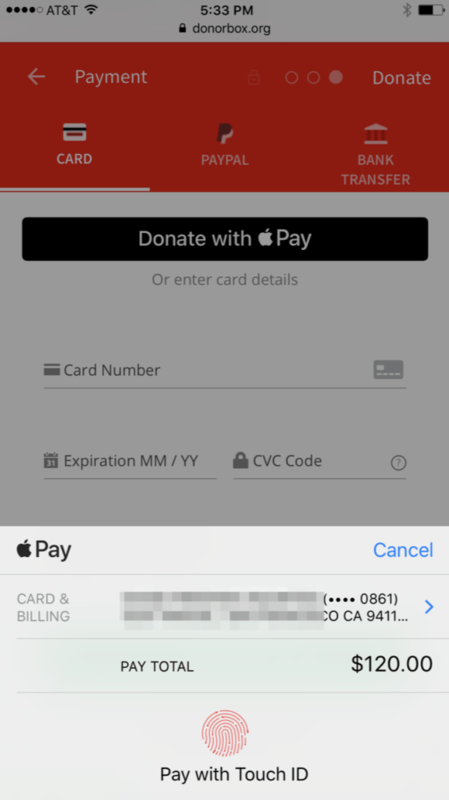 With ApplePay, you can make one-time and recurring donations on your hosted donation pages. Apple Pay will work on iPhone Safari browsers and Mac Safari browsers. According to a survey by Target Analytics, many donors (47%) were turned off by usability problems relating to page and site design, including unintuitive information architecture, cluttered pages, and problems related to payments. ApplePay and Google Pay help remedy parts of that problem, making paying simple and fast. An embeddable donor wall will give your donors the option to showcase their donation on a public ‘wall’ (names and surnames of contributors). If a donor selects this option, we will display their donation information and their comment. The wall will be shown below the form on your hosted donorbox.org/campaign page. As we discussed in our Thanksgiving Fundraising Ideas or our How to Turn Social Media Followers into Donors, donor recognition encourages the existing donors to keep giving but it also motivates new donors to give. Our Double the Donation company matching integration enables donors to search for their employer’s matching policies during the checkout. 65% of Fortune 500 companies offer matching gift programs and over 18 million individuals work for companies with matching gift programs. An estimated $2-3 billion is donated through matching gift programs annually, which makes evident the enormous fundraising potential of matching programs. Furthermore, mentioning matching gifts in fundraising appeals results in a 71% increase in the response rate and a 51% increase in the average donation amount (and that’s prior to receiving matching gift funds). 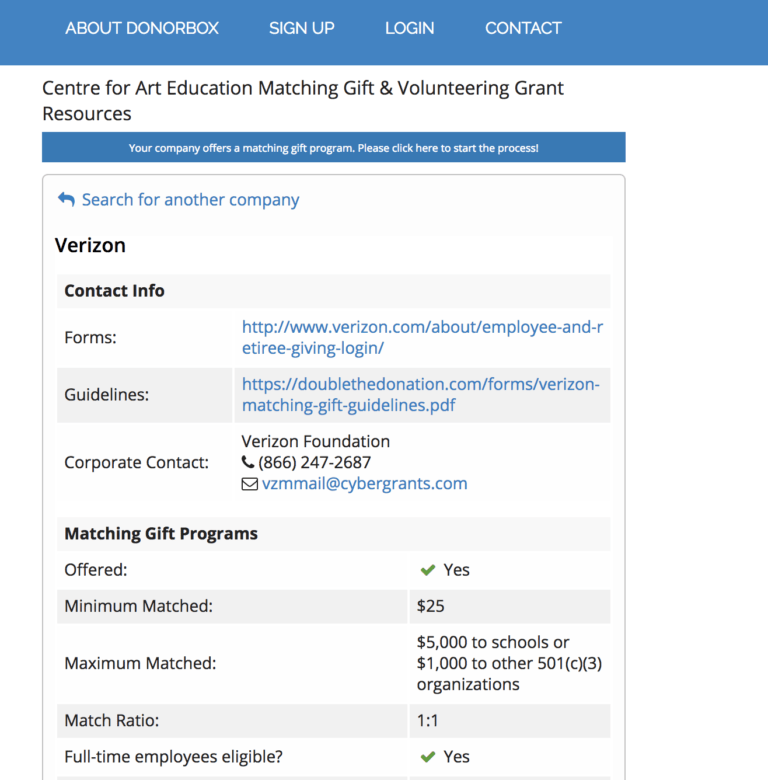 Not only does Donorbox enable donors to search through matching policies during the checkout, but also on your own website with a company matching embed code. 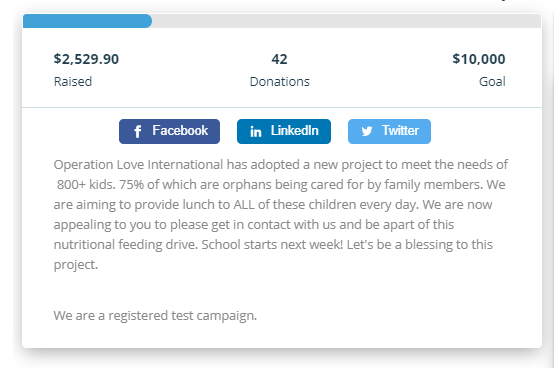 This also allows you to brand and market the feature to your donors. While for-profit companies might struggle to evaluate the value of workplace giving programs, nonprofits can always use more ways to ask donors for gifts. Therefore, matching gift funds can do a world of good. For most nonprofits, online fundraising pages have become essential. And an online fundraising page is not complete without a fundraising thermometer. A fundraising thermometer measures progress towards a fundraising goal. In most cases, a fundraising thermometer looks like a thermometer. As donations increase, the “temperature” of the thermometer increases accordingly. Fundraising thermometers help motivate fundraisers to reach the overall goal, help track the fundraising goals, and encourage supporters to give. The value of fundraising thermometers lies in the fact that success attracts, as does immediate gratification from seeing your name pop up on the list. If you would like to upgrade your fundraising efforts, get a Donorbox Donation Progress Meter. Setting it up is really easy. In the donation form editor, you need to click on the ‘Amount Setup’ tab. Afterwards, you should type in the goal amount for the campaign. A fundraising thermometer is a simple-to-install and effective fundraising tool. It can seamlessly fit into a variety of campaigns, regardless of the size and the mission of your nonprofit. Donorbox has added some exciting new features that will give your donors the ability to download PDF receipts, help you track recurring donors, and gain access to converted currency amount data. 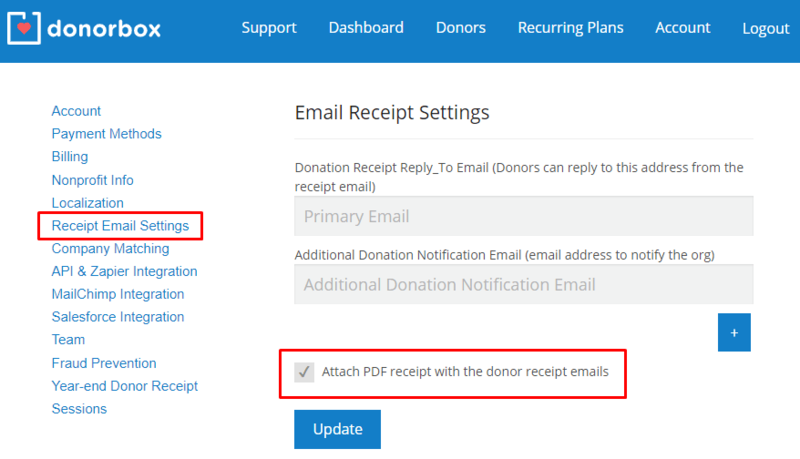 Donorbox has added the ability attach your donation receipt as a PDF to donor receipt emails. You can now also filter recurring donations by date as well as by failed, active, paused, and canceled donations. These three features can help streamline and professionalize your fundraising process, thus enabling you to raise more money. Zapier is a tool that allows you to connect apps you use every day to automate tasks and save time. You can connect any of our 1,000+ integrated apps together to make your own automation. With Zapier your integrations are set up via Zaps which perform your automation for you. With Zapier, you no longer have to waste your time doing repetitive tasks. Zapier is there, doing those tasks in the background for you so you can do more important work. All other challenges pale in comparison to the need for funding to keep a nonprofit’s doors open and accomplishing their mission. Nonprofit professionals rarely lack vision, ideas or enthusiasm. The challenge is almost always finding sufficient funds today to safeguard the nonprofit’s financial vitality while working toward a progressive and stable future. During the course of the last several years, the availability of public funding (federal, state, local) has dwindled. Nonprofits must increasingly solicit funding from foundations, corporations and philanthropic individuals. Furthermore, the pace of technological development leaves many nonprofits unequipped to face the challenges of digital fundraising. Updates like enabling ApplePay and Google Pay, enabling the embeddable donor wall and company matching search, and launching the fundraising thermometer, allow nonprofits to facilitate and simplify their digital fundraising. 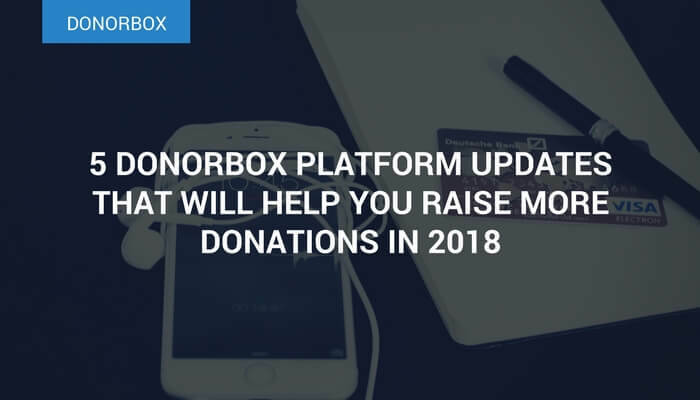 Donorbox is a powerful fundraising software that is simple to setup and attracts more recurring donors. Start fundraising with a fast, optimized donation payment system in 15 mins.